Why Choose Green Acres Camp? 100% of our camp parents would recommend Green Acres camp to a friend! Our experienced, well-trained staff really relate to campers and campers love our counselors! Each unit and activity is coordinated by a teacher or someone with equivalent experience. There is a total of 90 staff for 320 campers. With daily, on-site swim instruction, our campers really learn to swim. We pride ourselves on our developmentally-based swim program that focuses on both skill development and building confidence. 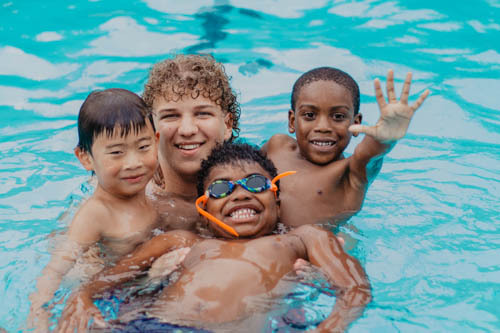 Our swim instructors use the swim levels developed by the American Red Cross, and our small camper/staff ratio allows for individualized instruction. Our beautiful, 15-acre campus, tucked away in a quiet neighborhood with several shaded playgrounds and light-filled buildings, gives campers a chance to escape the hustle and bustle of school life. To further secure our campers, all exterior doors remain locked throughout the day. Homerooms have one teacher, one college student and one high school student. With an overall ratio of one instructional staff member to every seven children, there truly is an opportunity for us to get to know each camper. Our full-day program is taught by experienced teachers to campers in small groups. Add in daily, on-site swim instruction, special events, weekly assemblies, and day trips & overnights for older campers and we believe you more than "get what you pay for." Our program averages $460 per week—right in the middle for rates of comparable programs. 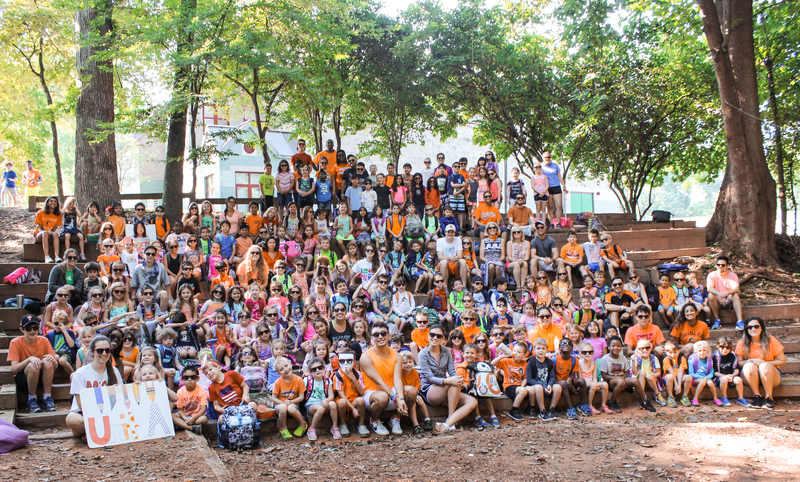 Qualified counselors, small groups, and creative activities have kept our campers coming back year after year. With so many specialized activities offered at one location, there is no need to run around to several different camps in a summer. Learn something new with a creative selection of activities offered in a combination of indoor and outdoor spaces—this arrangement works well on Code Red days, too! The six-week program offers younger campers stability and continuity as they learn to be campers. We are the closest experience to sleepaway camp a camper can have. The three-week and flex week options provides older campers with the opportunity to combine three weeks of day camp with three weeks of sleepaway camp. Camp traditions like Gully and GAC Cup build a lifetime of memories. The spirit of Green Acres Summer Day Camp is best exemplified by our morning Gully. We plan and perform skits, sing songs, give birthday greetings, and share special events and activities. Other summer highlights include the Fourth of July Parade, Fun Fridays, Fun Run, Spirit Days, GAC Cup and the Staff Vaudeville Show. Numerous special performances and assemblies on campus complement our activities. Older campers enjoy an exciting schedule of day trips and overnights.